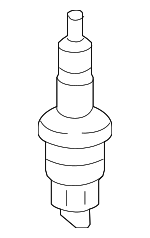 Spark plugs are one of the most important components that keep your engine running. They emit the spark that’s needed to ignite the combustion that starts the vehicle. Because they function as a key component, your engine’s spark plugs should be kept in good condition. However, these parts eventually wear out since some of the metal on the plugs is removed every time a spark is emitted. To ensure optimum engine performance, replace your worn-out spark plugs with new ones that you can find here at MoparOnlineParts! Our selection of this Mopar item is compatible with different Chrysler, Dodge, Jeep, and Ram models that also include 12-month manufacturer warranty. We prioritize information security so that you can browse and shop from our selection without any fear. For inquiries about this item, our in-house specialists are available for questions.